Traveling? Make sure you sport shoes that guarantee unmatched comfort for all the walking you’ll be doing. Global lifestyle footwear brand Skechers has just released new styles of its top-selling GO Flex Walk shoes: the Mini Flex and Lotus Flex for women and the Go Flex Walk for Men. Women who prefer slim silhouettes can say hello to the Mini Flex. The Mini Flex comes with a sleek upper in neutral colors making them an effortless match with different outfits. Skechers GO Mini Flex in Black Gray, Php 3,495. 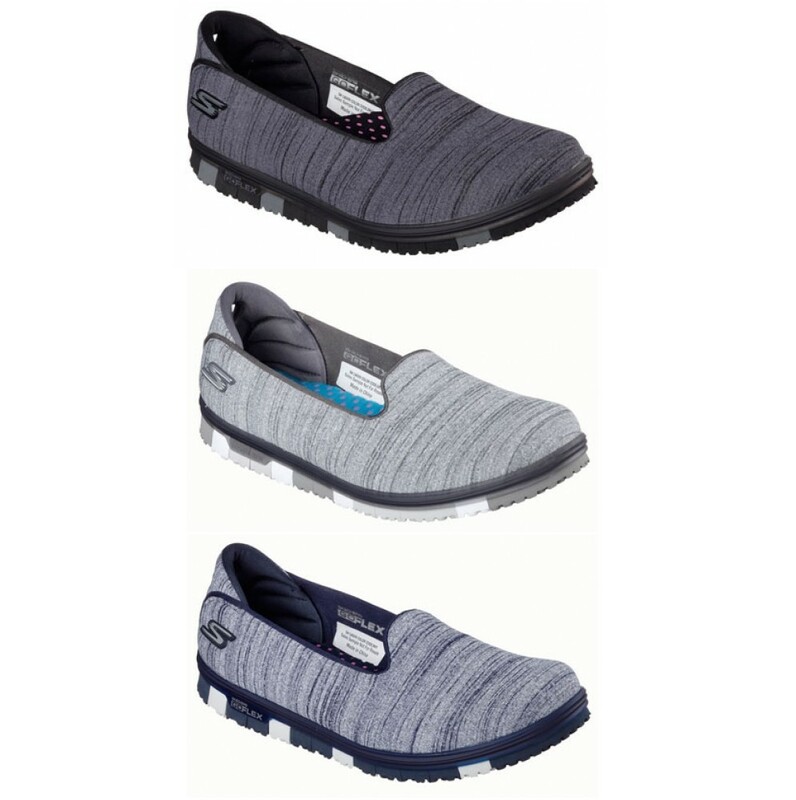 Skechers GO Mini Flex in Gray, Php 3,495. Skechers GO Mini Flex in Navy, Php 3,495. 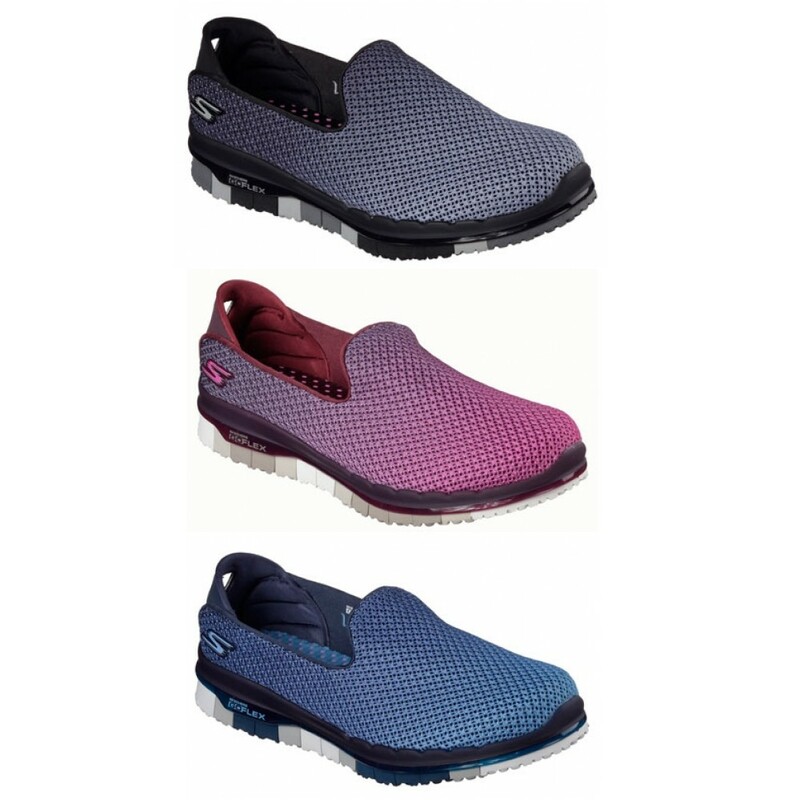 If you’re looking for shoes which provide superior ventilation, you’ll love the Skechers Lotus Flex made with woven upper for extra breathability. Skechers Go Flex – Lotus in Black Gray, Php 3,590. Skechers Go Flex – Lotus in Burgundy, Php 3,590. Skechers Go Flex – Lotus in Navy Blue, Php 3,590. The gents can now enjoy unprecedented flexibility with the GO Flex Walk for Men. The men’s line comes in blacks, grays, and blues perfect for guys looking for shoes that look and feel great to wear. 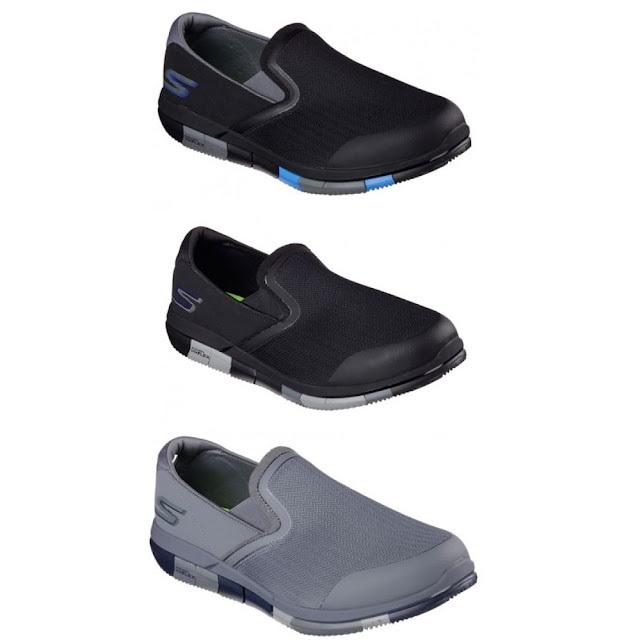 Skechers GO Flex Walk for Men in Black Blue. Skechers GO Flex Walk for Men in Black Gray. Skechers GO Flex Walk for Men in Charcoal Navy. Skechers GO Flex Walk for Men in Light Gray Lime. 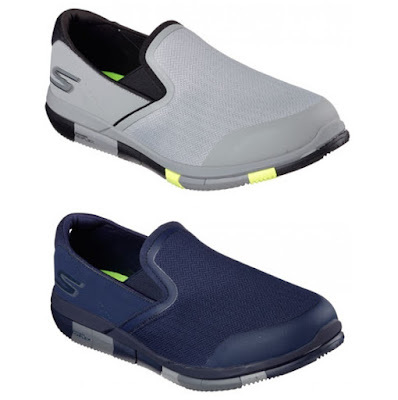 Skechers GO Flex Walk for Men in Navy Gray. Synthetic heel panel with Quick-Fit Portal"
The Mini Flex, Lotus Flex, and GO Flex Walk for Men all feature GO Flex Walk’s high-rebound cushioning thanks to the Goga Mat™ Technology that ensures effortless strides. The segmented outsole ensures exceptional flexibility, while the Memory Form™ Fit design with memory foam padding around the heel guarantees a custom fit. Get your hands on these perfect travel shoes and enjoy comfort anytime, anywhere! The Mini Flex, Lotus Flex, and GO Flex Walk for Men are available in Skechers stores at Glorietta 2, TriNoma, SM North Edsa -The Annex, SM Mall of Asia, Robinsons Place Manila, Robinsons Galleria, Gateway Mall, Market! Market!, Lucky Chinatown, Alabang Town Center, SM Southmall, Festival Mall, SM Bacoor, SM Dasmariñas, Paseo Sta. Rosa, SM Fairview, Fairview Terraces, SM Clark, Marquee Mall, SM Pampanga, SM Ilo-ilo, Ayala Center Cebu, SM City Cebu, SM Seaside Cebu, SM Bacolod, SM Davao, Abreeza Mall, Gaisano Mall Davao, LimKetKai Mall CDO, and Centrio Mall CDO.